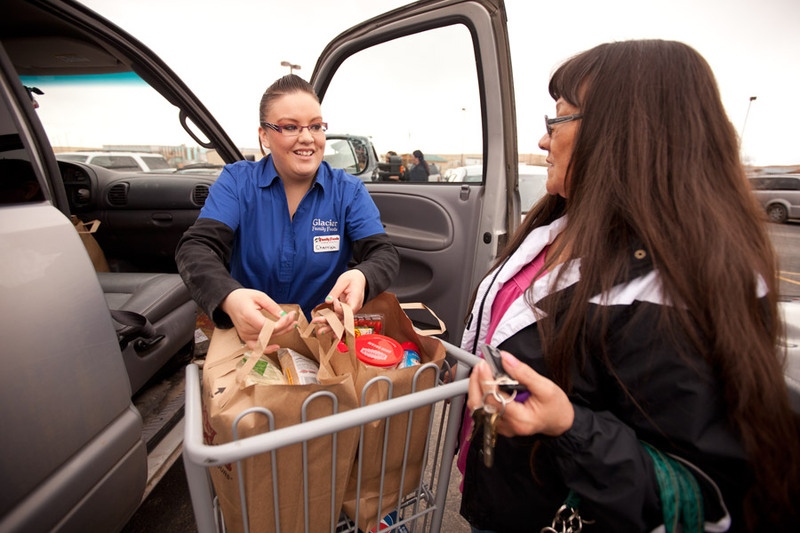 The Blackfeet Reservation’s first tribally owned grocery store opened its doors on April 4. Glacier Family Foods will add 56 jobs to the reservation, which has an unemployment rate of 68.5 percent. The new store offers groceries at competitive prices—something that hasn’t been the case for the reservation in the past. 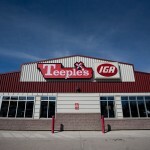 Before Glacier Family Foods opened, the reservation could support only one grocery store: Teeple’s IGA. Glacier Family Foods store manager Emerald “Beep” Grant believes the tribally owned store is just a steppingstone for what is to come on the reservation. 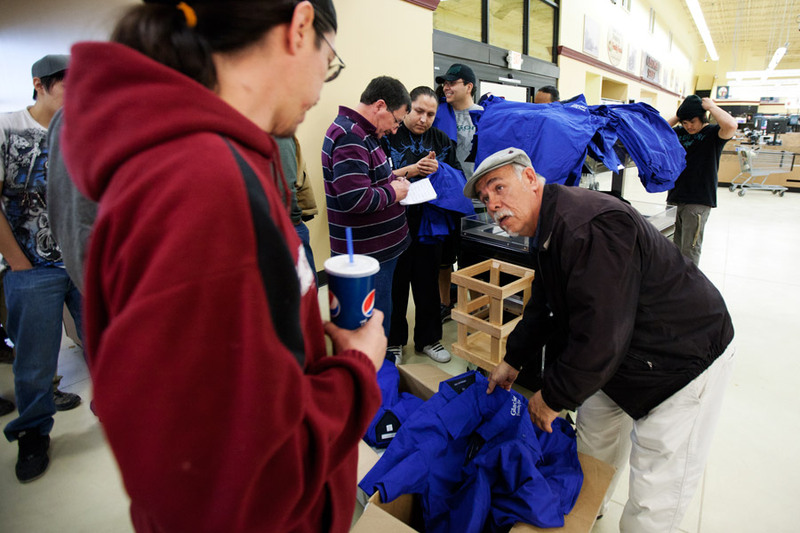 Assistant manager Virgil “Buggy” Edwards hands out uniforms after an employee meeting a day before the store’s opening. Edwards is chairman of the Siyeh Development Corporation, which began its search for the store’s location in 2008. Josh Embody was out of work for a year before he landed a job at Glacier Family Foods. Embody said he looks forward to being able to help pay bills at home. Marion Gobert worked on the roads at Two Medicine in Glacier National Park before Glacier Family Foods hired her. She looks forward to learning something new. 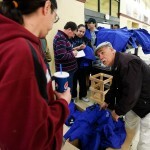 On opening day, the customers and employees of Glacier Family Foods embodied the reservation’s excitement. Cherrish Cutfinger (left) said she had been out of work before she began working at the grocery store, and that she had missed helping customers. Dawn Rutherford (right) was excited for the new store and the reasonable prices. Tribal Councilman Reis Fisher says plans are already in the works to expand Glacier Family Foods to include a gas station. It would be located at the far end of the store’s parking lot. Charlie Flammond, who is head of the meat department, said cutting meat is the one thing he is good at. He worked in the meat department at the IGA in Browning 22 years ago. After a morning of grocery shopping, Gertie Heavy Runner waits for her great grandson to come home for lunch. Heavy Runner, 88, said she won’t quit shopping at the IGA. Instead, she plans to shop around both stores looking for the best deals. Prior to the opening of Glacier Family Foods, Teeple’s IGA was the conventional source for groceries on the Blackfeet Reservation. As a result of the monopoly, the store’s prices were much higher than at atores off of the reservation. Residents would often drive off of the reservation to surrounding areas for competitive prices. The first customer had yet to walk through the grocery store’s automatic doors when the deli’s meat slicer claimed its first victim. An emergency room visit later, Marion Whitford laughed at the white gauzy bandage covering the stitches on her finger. It’s OK, she said. 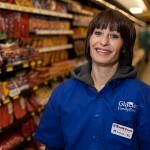 Like the rest of the employees at Glacier Family Foods, she’s still learning how to do her job. “It’s going to be great once you get everything down pat and running smoothly,” she said. Meanwhile, Whitford’s co-worker Merle Joseph Spotted Bear Jr. was learning how to operate the coffee machine perched on the deli’s counter as several others worked behind him. Laughter filled the air. Without the positive environment created by his co-workers, the 25 year old said the job would be a lot harder. 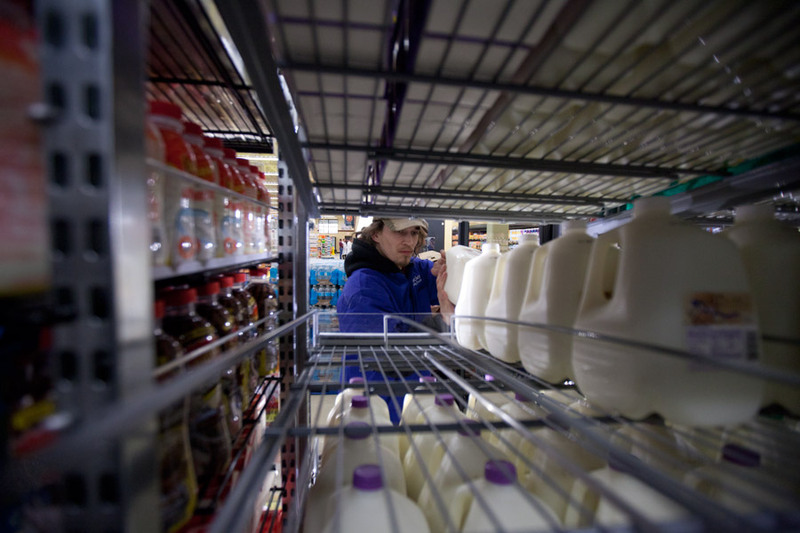 By the time Glacier Family Foods opened its doors for the first time on April 4, the employees were a little more comfortable with the new skills required by their jobs. The crowds that filled the store on opening day considerably sped up the learning process for Whitford and her colleagues. Near-constant lines at checkout and at the deli counter kept the employees on their toes all day. Most managed to keep smiling throughout the long day, though, trying to live up to the standards their manager, Emerald Grant, set for them. Grant said if Glacier Family Foods is to be successful, it is up to the employees to make the customer want to come back. The unemployment rate on the Blackfeet Reservation is 68.5 percent, according to the Bureau of Indian Affairs. Although Glacier Family Foods adds 56 new employees to the Blackfeet Reservation’s year-round workforce, the people behind the store’s creation hope it will do much more than create immediate jobs. For the last 20 years, members of the Blackfeet Tribal Business Council and the community bounced around the idea of opening a tribally owned grocery store to attract other businesses. It only came to fruition after the Siyeh Corporation, the business arm of the Blackfeet tribe, took on the project. 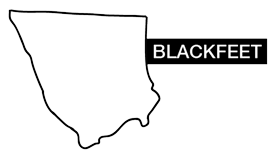 In 2010, the Siyeh Corporation conducted a market analysis that confirmed the Browning community and the Blackfeet Reservation could support a second grocery store (Browning’s long-standing Teeple’s IGA is the first) as well as the competition it would bring to the market. Competitively driven prices at the local grocery stores could entice more people to shop on the reservation, stemming the flow of traffic — and the flow of money — to outside towns like Cut Bank, Kalispell and Great Falls. For many people on the Blackfeet Reservation in northwestern Montana, Glacier Family Foods is a sign that things might be looking up. The plains of northernmost Montana are home to Browning, a town of a little more than 1,000 people that serves as the hub of the Blackfeet Reservation. Stray dogs trot through the streets, winding around haphazard buildings that are eternally battered by the wind coming off the Continental Divide. On April 2, two days before the opening of Glacier Family Foods, the constant motion of cars entering and leaving the full parking lot of the IGA made the grocery store seem almost as busy as the highway that passes in front of it. Inside, the grocery was filled with customers depleting shelves and employees restocking food. Families with small children sought affordable brands. Young adults lined up at the tobacco counter to buy packs of cigarettes. 195 Blackfeet residents are presently employed in the food retail industry including gas station/convenience stores. This data is based off of personal survey of each establishment, all of which said their employment numbers have been fairly consistent over the last five years. $9 per hour is what the average (non-management) employee at Glacier Family Foods makes. $21,114 is the average salary in the food industry on the Blackfeet Reservation. A sign on the community bulletin board in the store’s entrance read, “Need work. Will do anything.” It’s a common cry for help on the reservation, where unemployment is at nearly 70 percent, according to the U.S. Bureau of Indian Affairs. Most of the jobs that can be found in the area are temporary, in seasonal industries like construction or hospitality — Glacier National Park’s proximity keeps tourist traffic through the area high in the summer. Virgil Edwards, the assistant manager of Glacier Family Foods and the chairman of Siyeh, said the corporation began looking for a location for the store and working with outside wholesalers before presenting the idea to the council in 2008. Negotiations between outside businesses and the tribal government are often a hassle, he said, because it’s hard for all parties to agree on details like hiring and wages. As a result, Siyeh went to many Montana wholesalers like the Independent Grocers Association, Albertsons and Majestic Foods, but no one was keen on the idea of a store owned by a tribal government, Edwards said. 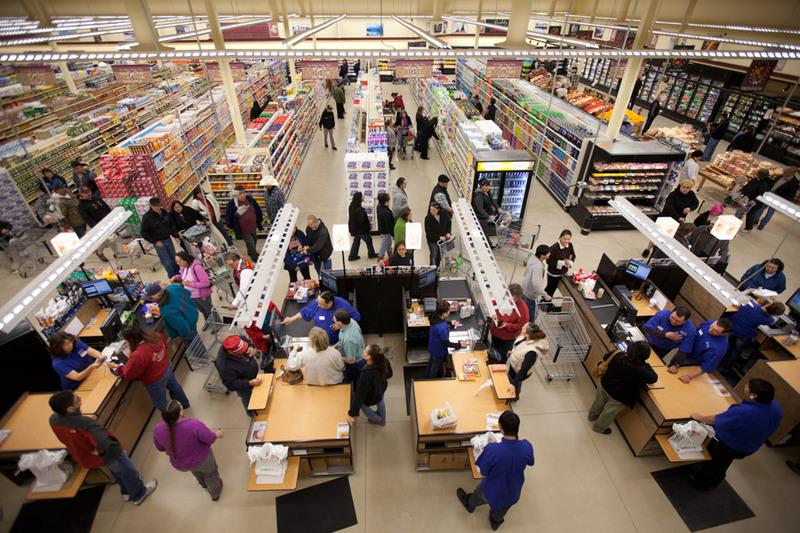 Finally, United Retail Merchants, the Spokane-based wholesaler behind stores like Super One Foods and Rosauers, said yes. First Interstate Bank in Great Falls was also willing to grant the tribe a loan. There was a condition for the outside support, however: There had to be a way to keep tribal government from meddling in the store’s business. 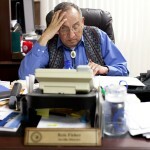 Outside companies worried that too much tribal control over a reservation enterprise could negatively affect business. Edwards said creating a buffer zone between the two entities has proven a key to success for tribal businesses nationwide, as shown by research conducted by the Harvard Project on American Indian Economic Development. 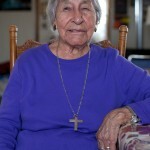 He said that kind of safeguard is often missing on the Blackfeet Reservation, allowing exploitation by the tribe’s elected officials. It’s not uncommon for people to use their connections to control aspects of a business, like who is hired or fired, or where the money goes, Edwards said. The Siyeh board opted to create Glacier Family Foods as a limited liability company, which helped form partnerships with outside entities like United Retail Merchants. Reis Fisher is a member of the tribal council and a supporter of the store from the beginning. He also serves on the store’s five-member LLC board, alongside fellow councilman T.J. Show and three members of the community. The LLC was a necessity at the start of the project because of a history of tribal government interference in business, Fisher said. It’s important the two entities remain separate and that’s what the LLC designation is meant to do. “The government is to make law and policy and be the catalyst for development, not run the business,” Fisher said. 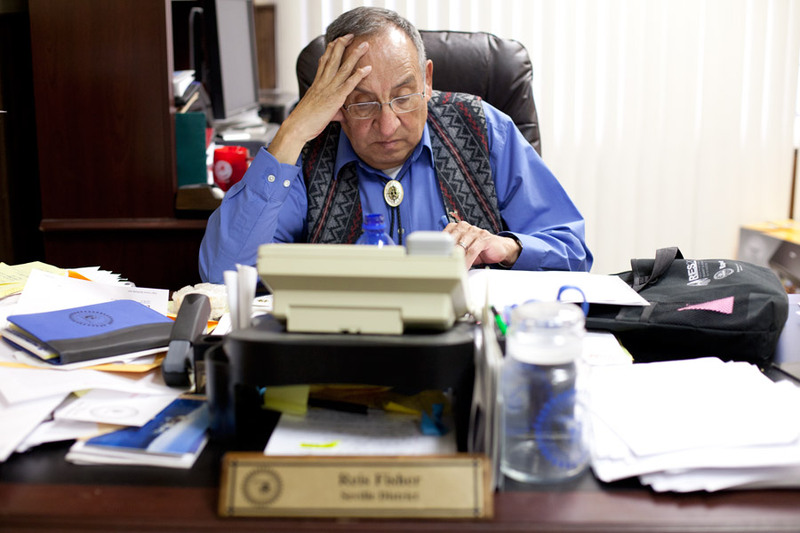 The tribal government’s history of becoming too involved in business on the reservation is something Ronald Kittson, who serves on the Montana State Tribal Economic Development Commission, said he hopes won’t carry on into the future. Kittson, a former council member who played a role in the early stages of developing Glacier Family Foods, said the old tribal grocery store, which ran in the 1960s and ’70s was an example of that corruption. Members of the council – and more often their relatives – would get away with putting their store purchases on charge accounts, few of which were ever paid off. That’s why the business was unsuccessful, he said. Grant, the store manager, said he’s aware of more than a few people who are worried about the customer service going a little too far. Charge accounts turn into a bad habit that can lead to the bankruptcy of a store, and Grant said he will have none of it. The same goes for employment. Grant said he won’t hire or keep an employee just because an influential friend or family member asked him. 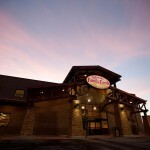 However, Glacier Family Foods does make a priority of hiring Blackfeet tribal members and descendants. Mike Kittson is a compliance manager at the Blackfeet Tribal Employment Rights Office, which ensures local businesses give tribal members priority when hiring. The office helped Swank Enterprises, the contracting firm that constructed the supermarket, hire tribal members during construction. Kittson said hiring locally keeps money in the community, especially when it comes to a retail business like Glacier Family Foods. The morning of April 4 dawned gray and blustery. It was not the blue-sky day Grant had in mind for the Glacier Family Foods opening. The weather didn’t keep people away, though. As 10 a.m. rolled around, the parking lot started to fill and a crowd gathered in front of the store’s automatic sliding doors. After a half-hour of speeches by the store’s managers, members of the Blackfeet Tribal Business Council and Earl Old Person, honorary tribal chief, it was finally time. It took nearly five minutes for the people at the back of the throng to filter through the doors. 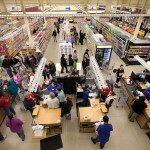 Inside, the people hoped to be among the first to wander the new tribally owned grocery store’s aisles. They carefully scanned the prices, checking if the store would live up to their expectations. Glacier Family Foods is that nice facility to purchase groceries. Its cheery yellow walls, wide selection of food and unsullied new building are inviting to the residents of Browning, who have been waiting for this store for nearly two decades. The energy of the opening-day crowd as it waited outside the sliding glass doors brought a sense of excitement and importance to a brisk, gray April morning, for both the shoppers and the employees. Charlie Flammond, the head of the meat department, grinned proudly at an almost-full case of meat. He said he’s ready for the job, though he admits he has a big task in front of him. He’s got a lot of food, food that spoils quickly, to look after. He said he expects it to go quickly, though: People on the Blackfeet eat a lot of meat. They buy it in large quantities, even with the higher prices, so they can make it feed entire families. He said he’s not too worried, though. If there’s one thing he can do, though, it’s this. He used to work in the meat department at the IGA. That was 22 years ago. In the meantime, he’s kept his meat-cutting skills sharp by lending his services out to friends and family. It’s his trade. He doesn’t know much, he said, but he sure as hell knows how to cut meat. And now Glacier Family Foods has given him a place to do that. After a long day of grocery shopping, Gertie Heavy Runner sat at the kitchen table in her house on the outskirts of Browning. She checked the soup on the stove, waiting for her great grandson to come home for lunch. He and his two small children, who Heavy Runner calls her “sixth generation,” are living with her right now. It’s a fun living arrangement, she said, though not when the little ones try to wrestle with her. Horseplay is just not as enjoyable when you’re 88 years old, she said with a laugh. Heavy Runner visited Teeple’s IGA, just like she usually does. Today, however, Heavy Runner made another stop: The opening of the new Glacier Family Foods. Heavy Runner said she liked what she saw at the opening, but said she — and a lot of other people — will still shop at the IGA because that’s what they’ve been doing for decades. “There’s just some things that you’re used to buying there,” she said. But, she said, Glacier Family Foods will give Teeple’s a run for its money. The new store has more variety and more selection. For those that are unable to leave the reservation for shopping trips, like Heavy Runner, it’s nice to have more options at home. Joe Gervais, who teaches entrepreneurship classes at Blackfeet Community College, said Teeple’s IGA is already responding to increased competition in the local market. That much is evident. On the Monday before Glacier Family Foods opened its doors, for instance, Teeple’s IGA was charging 89 cents for a pound of bananas, the same as the cost of a pound of bananas at the Lee and Dad’s IGA in Belgrade. By Wednesday night, Teeple’s had decreased the price of bananas to 59 cents per pound. Teeple’s co-manager, Leo Wikstrom, said the increased competition will only reinforce the IGA’s tie to Browning. If Glacier Family Foods can do the same, Gervais said, it could send a signal to other businesses that Browning could be a more permanent home. At the very least, it will give people a place to shop close to home, reducing what Gervais calls near-constant traffic between Cut Bank and Browning on U.S. Highway 2. 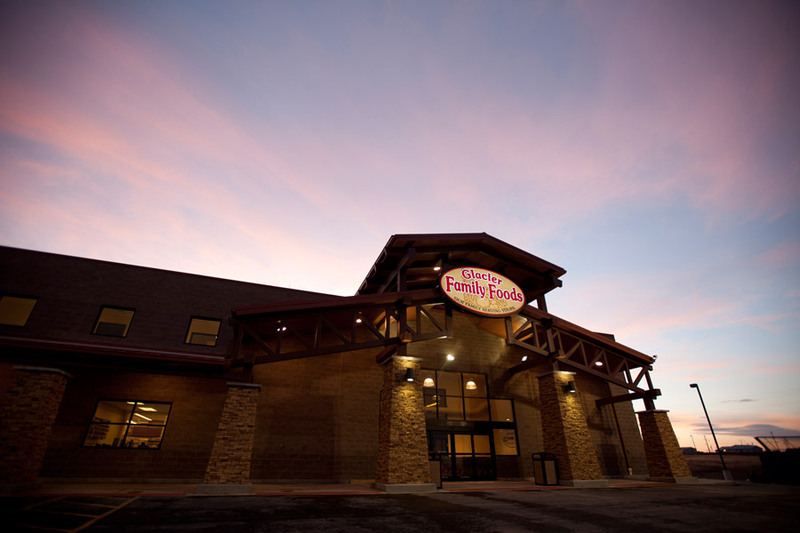 If Glacier Family Foods can keep even half of that traffic on the reservation, it will be interesting to see how spending powers change in the region, he said. 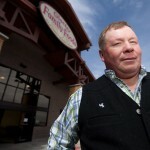 Grant, the manager of Glacier Family Foods, is more certain of the positive effect his store will have on the community. It won’t bring in millions of dollars to the tribal account, he said, but he does look forward to the opportunities the store could bring in addition to employment. He said there are concrete plans to build a gas station in a corner of the store’s parking lot. Grant said he sees the potential for the area around the store to turn into a strip mall with other stores, bringing the community the commerce it needs to revive its economy. 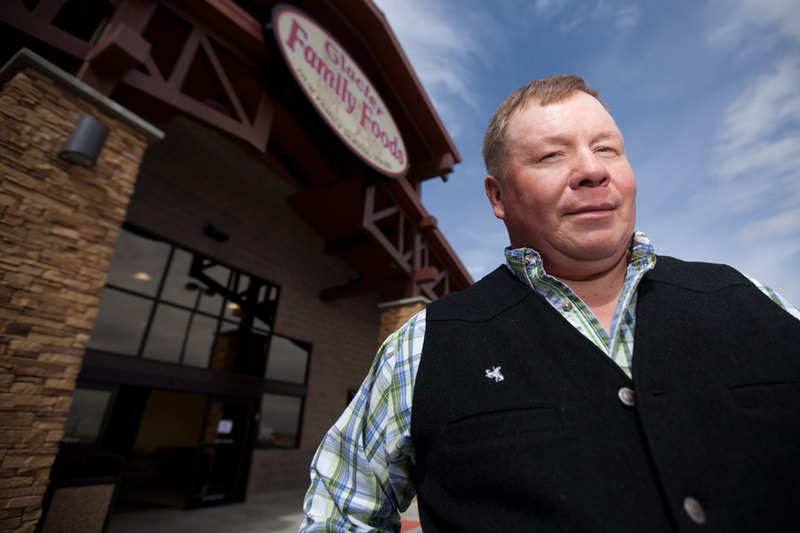 It all hinges on the success of Glacier Family Foods. The Native News Honors Project is reported, photographed, edited and designed by students at The University of Montana School of Journalism. This is the 21st annual edition.